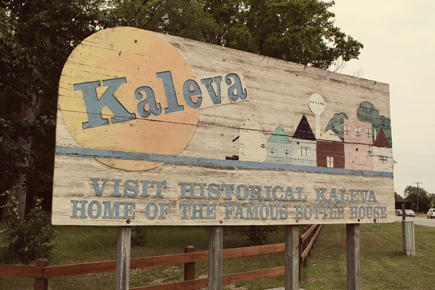 On the way to our weekend trip, we stopped off in a little town called Kaleva! It's a tiny town, about a half hour away from the west coast of Lake Michigan. 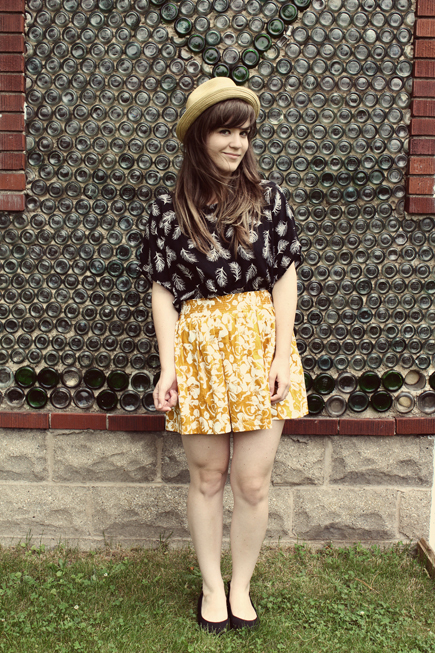 A friend told us about their "famous" bottle house, which sounded delightfully corny. So of course, we had to check it out! As soon as we drove down the winding road and saw this sign, we knew we were close to the bottle house! 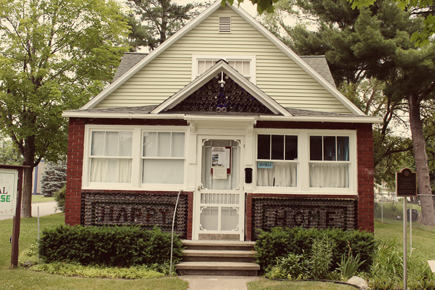 It looked like your stereo-typical family home built in the 1940's... but it has over 60,000 pop bottles built into the home! 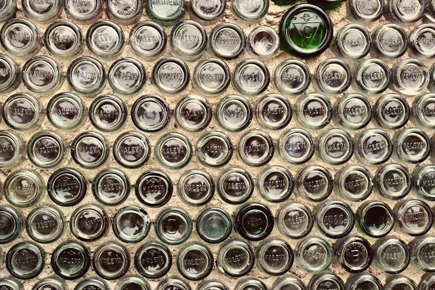 Most of the bottles came from the Northwestern Bottling Works. 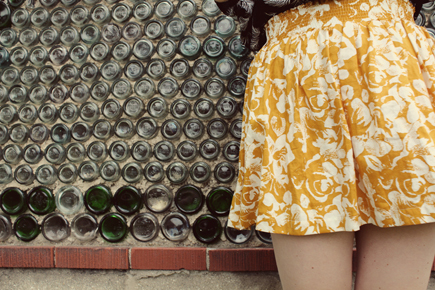 The bottles were laid on their sides with the bottom ends to the exterior. The house was completed in 1941. 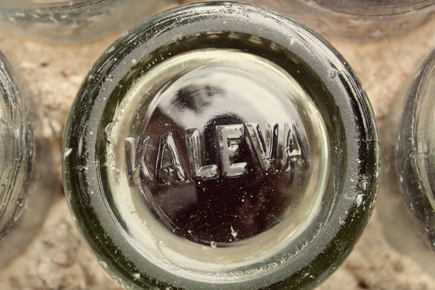 In 1980, the Kaleva Historical Society bought it and renovated it to house the Kaleva Historic Museum. How neat! As I was planning outfits for our trip, I was flinging comfortable clothes out of my closet onto the bed. As soon as these two pieces fell on top of each other, I knew I wanted to mix them! I loved the way they looked together. 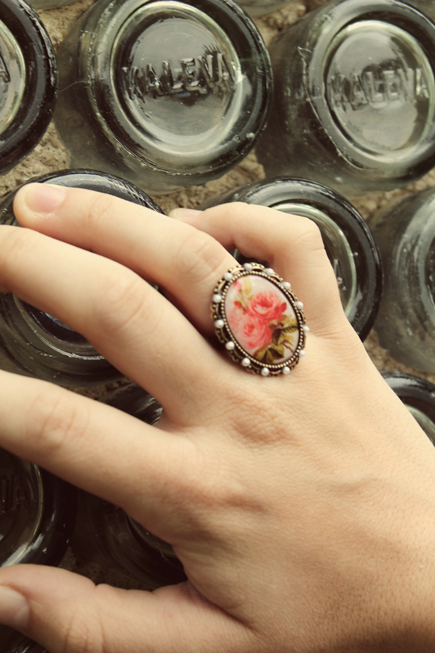 Perfectly summery. This outfit was really comfortable for hours of driving along the coast of Lake Michigan along M-22. 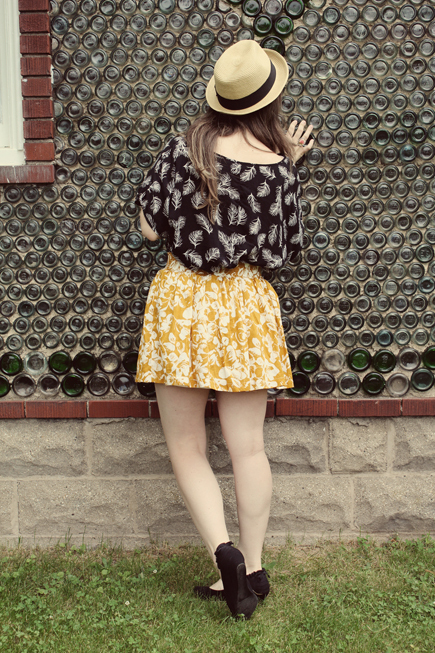 We spent a little while exploring the area and the outside of the bottle house. We arrived on Friday and the museum is only open on Saturday and Sunday, so we weren't able to go inside. It was such a quirky little thing to experience though. I love seeing little gems in hidden towns in the middle of Michigan!